There is a city parking lot directly across the street that is free after 6pm. Lots of available street parking. Please feel free to contact us for anything you may be thinking of, perhaps we can work together. We are happy to discuss catering opportunities for small gatherings and larger cocktail parties. Food is very good. Arrancini and popette made very well. Main course are very good too. Carbonara a little blend otherwise still a good dish. Service is amazing!!! drinks are very good. overall amazing experienced!!! Was pleasantly surprised and excited to learn that Ottawa does have some decent restaurants! Great ambiance and good food! A quaint setting that’s easy to miss- the restaurant is a house between two semi tall office buildings. The food is FABULOUS! We went on a Sunday when there is a “family style” menu and loved it. Will go back on a day other than Sunday to taste their normal menu. A definite return to restaurant!! We were disappointed overall, with the food as much as with the service. 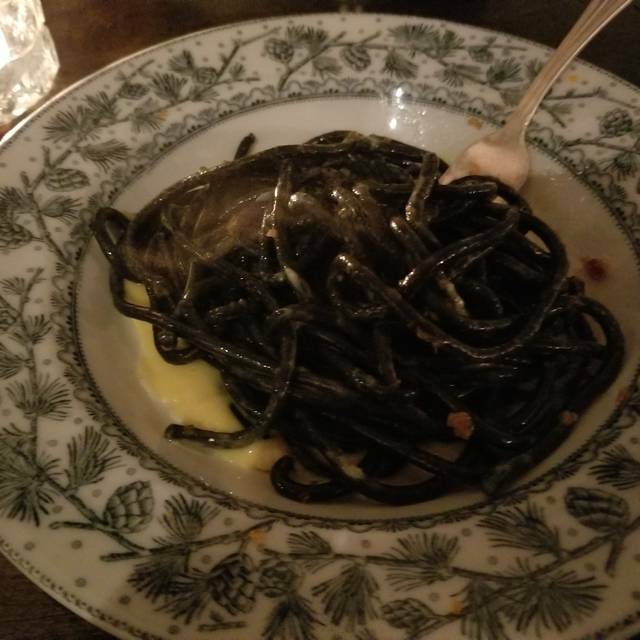 For a high end restaurant, especially in terms of prices, it just doesn't match up with the expectations. The food was good but nothing special. There was no 'wow' factor. The service was nice and personal, but sometimes too slow, especially in terms of bringing water to the table or the wine that was ordered. Wine that was on the wine list was not available so we took another bottle which was offered for the same price which also turned out to be a disappointment. We really wanted to like the restaurant, we loved the ambiance - but I don't think we'll be back. Fantastic service, unique but still exceptional food, unforgettable ambiance, would recommend 10/10 to anyone reading this review! Incredible experience as always. Staff are friendly and attentive. Food was exceptional as always. Never a boring night here. Our server was rude and almost challenged one in our party who had some food allergies and sensitivities. The duck she ordered was specifically requested to be well done and when it arrived - it was not . The server pretended that she did not hear it. No apology just a brush off.. Then for coffee after meal - she forgot an order and the other arrived cold even though it was requested to be piping hot.. Given how disinterested she was on hospitality, we did not bother asking for a correction. A shame as the food and the desserts were amazing as was the ambiance.. The servings can be better for what it costs. You almost feel cheated as the food excels in flavor. 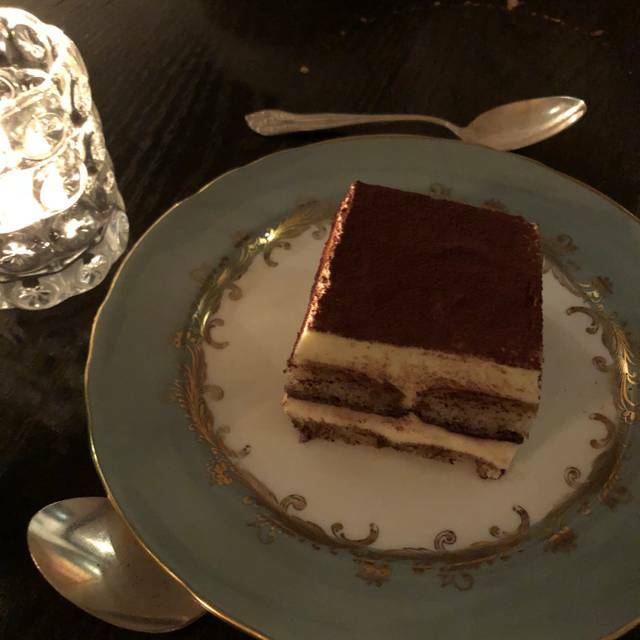 The Tiramisu was exceptionally lite and airy.. Not holding one bad server experience against the establishment, and recommending it to friends.. The food was ok the noise level was just awful we ask to change table cause it was so loud. The drinks are good. The food was ok nothing to write home about. But this might be my Montréal snob expectation. As always another memorable experience at North & Navy. The food (outstanding!) the ambience (lively yet chill) and the service ... thank you Vincent for taking such great care of us. You will me missed! I recently hosted a business dinner for four at NoNa. The service was spot on and the food was simply fantastic. Their pasta was great and the bistecca was cooked very well. We decided to order 'family style' and it added a more engaged and relaxed component to the dinner. Great food - great cocktails. A tad too noisy with the other tables in our section - but overall pretty good. A little noisier than we liked. Food and presentation were excellent and delish. Service was expert and knowledgeable. 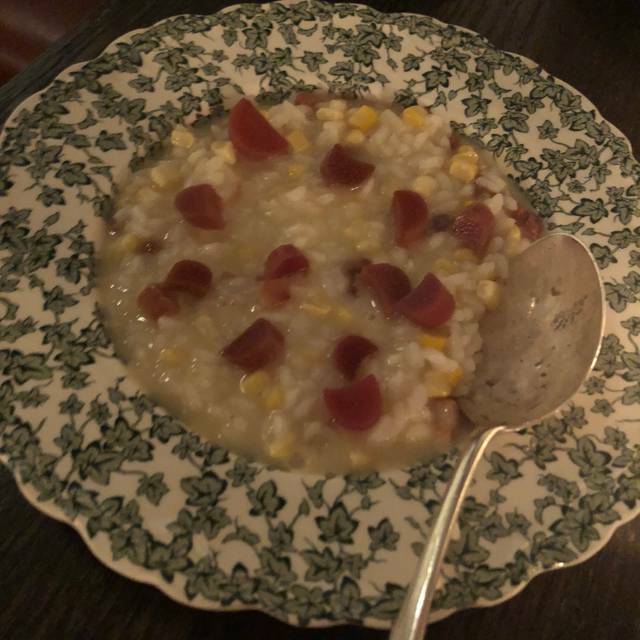 Food was delicious and inventive, great wine list, and cozy atmosphere. The only negative was the noise level, we could hear every other table in the room and it was difficult to hear the servers when they spoke to us (but the food is good enough to make up for the noise). 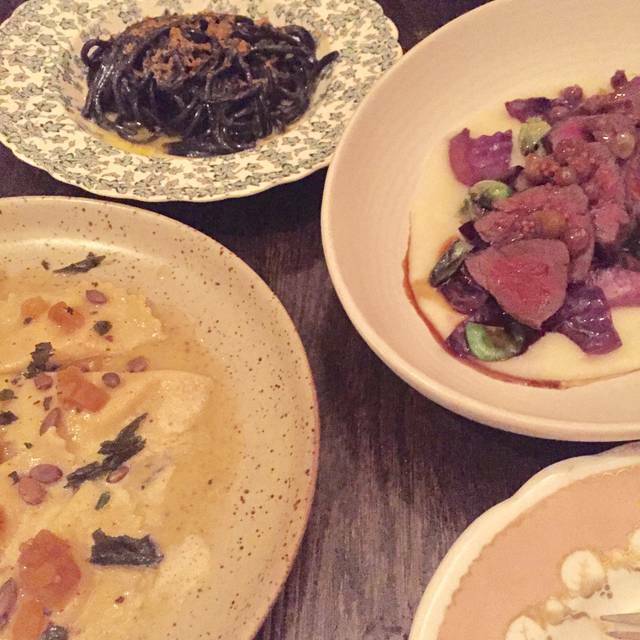 It was our first time dining at North and Navy and it did not disappoint. The reviews on the website were accurate and the dining experience met all our expectations. 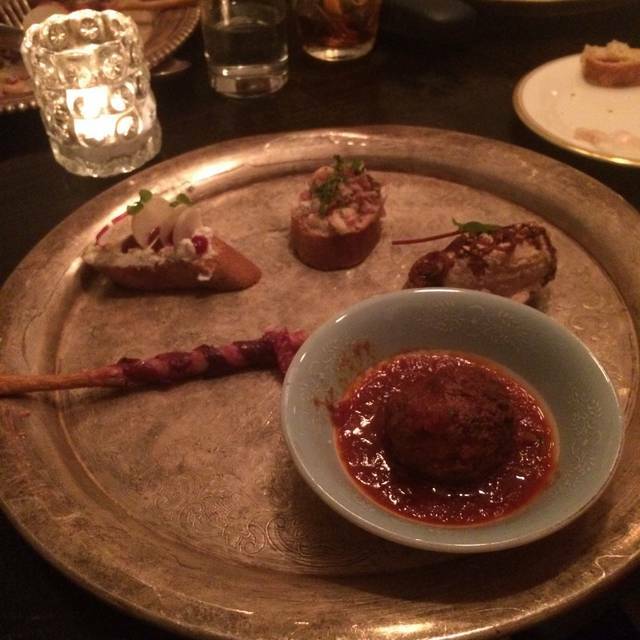 The dishes were eclectic and delicious. We certainly intend to return. Excellent food, great atmosphere! I will definately recommend it. N&N is lovely. Great food, drink, and service. This is quality with understatement which makes it perfect for every occasion from a special dinner to a local hangout... upscale style. Our service was impeccable, they went above and beyond explaining the menu and asking questions to get to know our tastes. He was even able to go off menu and bring us an amazing bottle of wine. They catered to our allergy’s and ensured with every course that the food was nut free. One of the best date nights out in Ottawa. We can not wait to go back! Enjoy dinning at this restaurant with friends. This allows us to share and sample several plates. The menu is ever changing, the cocktails are tasty and original and food is delicious letting us wanting more (portions are a bit smalls). The tiramisu was the perfect end to the evening. NoNa never disappoints! The food, wine, and cocktails were on point. Our server was so lovely and knowledgeable about the menu. The vibe was super chill. I can’t wait to go back. Thank you for the great experience! This is my top Ottawa restaurant. Food is in it’s own stratosphere.! Toujours bon, service chaleureux et professionnel. Toujours au bar. Had dinner with a girlfriend and really enjoyed ourselves. 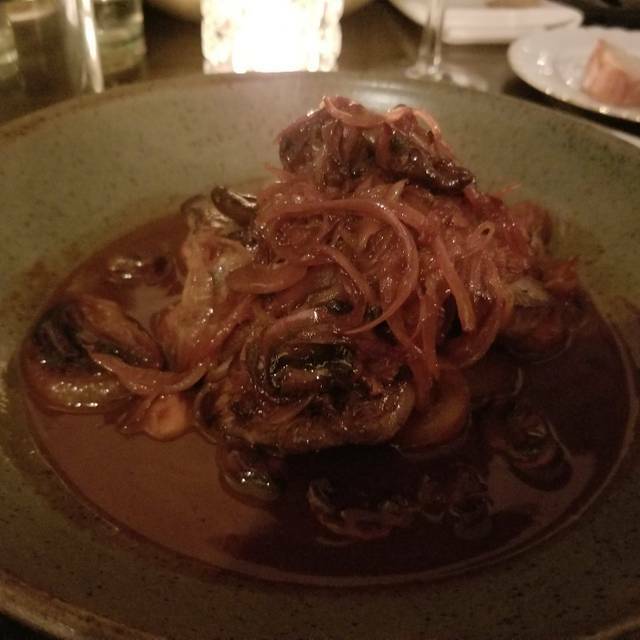 Shared a few plates of great food, our server provided drink recommendations and explained the menu, highly recommended and a reasonable cost for the quality! Great room. Fabulous staff and excellent food/wine. Really enjoyed trying different dishes. A perfect spot for a birthday dinner! It was a wonderful dinner - did sharing plates with friends in the bar which was a great way to experience many of the great fresh flavors - the wine pairing suggestions by Vincent were lovely. My friends and I enjoyed our evening tremendously. The fine folks at North and Navy always make you feel exceptional. Absolutely top notch, soul warming food, top notch wine and pre/post drinks, and charming personal service. 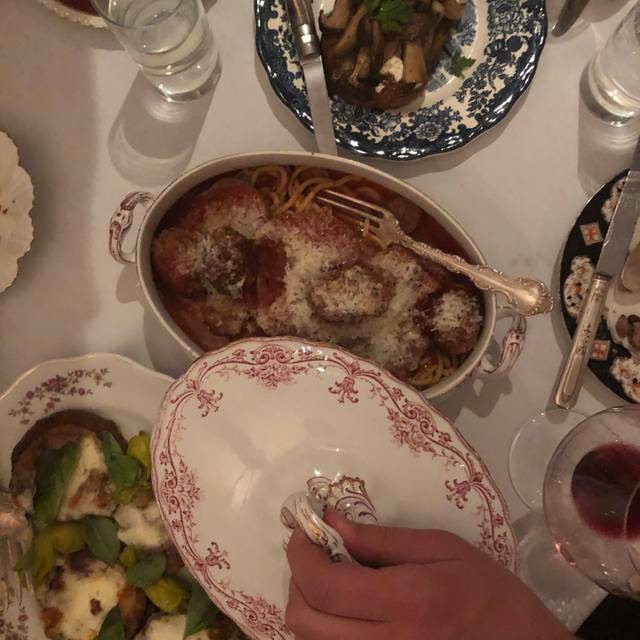 A true gem in Ottawa for (northern) Italian food, not to be missed. Night out from our toddlers. Vincent was excellent. We sat at the bar and loved the atmosphere. 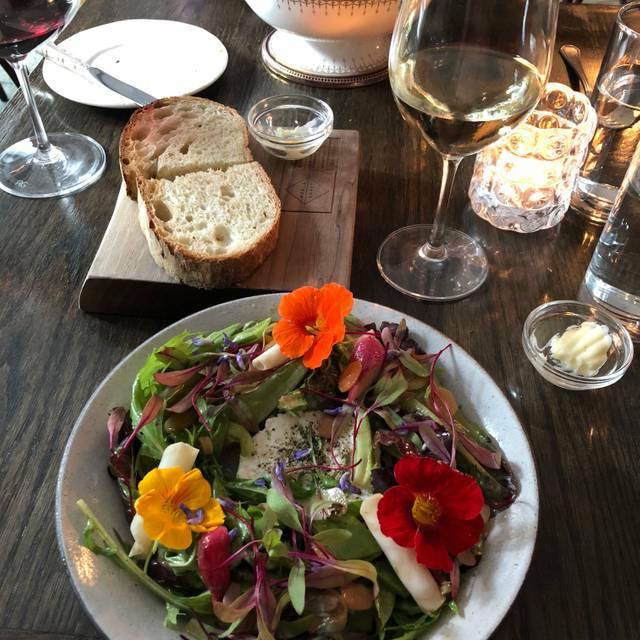 My husband and I have been lucky enough to dine at North and Navy a few times now, and we would highly recommend it. Whether you plan to drop in for a more casual meal/gathering or a very special occasion, the experience will be perfect each and every time. The ambiance and decor is beautiful and warm without being pretentious and every last detail is well thought out. And then there's the food....mouth watering, taste sensations, so fresh, creative and beautifully plated. All of this delivered by a team of engaged, warm and professional staff. North and Navy delivers a dining experience of days gone by. I look forward to going back again soon! Staff in kitchen was quite boisterous in kitchen on a very quiet Sunday. We could very clearly hear them yelling. Changed the ambience. Also sound track was nothing but Neil Young. Ok if you like him. Excellent dinning experience. The service was fantastic, the food was outstanding, the wine list was extensive. Wonderful food and terrific service. I look forward to coming back. We had a very good culinary experience with creative compositions. The restaurant is very pretty and warm. I would not recommend to people with verocious appetite and used to eat big portions. We enjoyed the new ways of serving well known dishes and the delicate flavors. By far the best restaurant in Ottawa. Food was exceptional, service impeccable, atmosphere was wonderful. 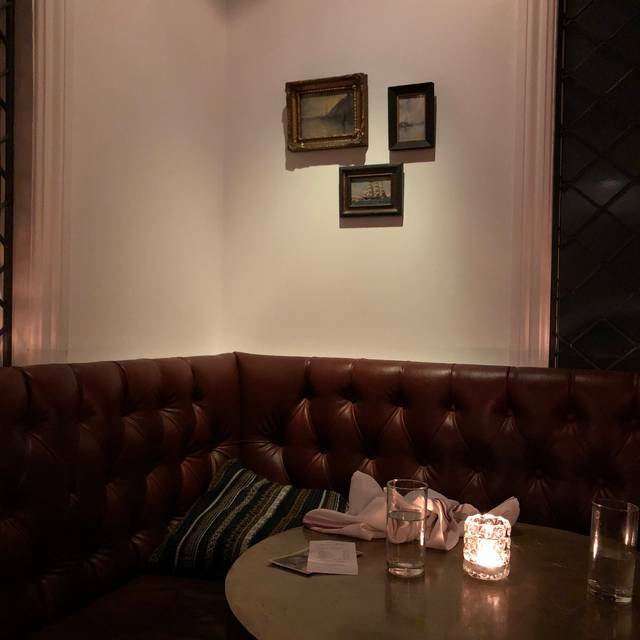 Reasonably priced entrees and a well curated wine and cocktail list. I highly recommend. Wonderful experience. Staff was excellent and food was very good. Will go back again and recommend. we were first time visitors to your restaurant and weren't sure what to expect. To say we were pleasantly surprised would be an understatement. Once we figured out the menu (our Italian is lacking) we realized that making a choice for each course was going to be difficult. Thoroughly enjoyed the meal and our server was tremendous and very helpful. Never disappoints! Amazing food, beautiful presentation. Food & service was excellent as usual. I highly recommend for their handmade pastas & intricate appetizers. We always have a great time at North and Navy. Food is amazing, service is superb. The menu changes frequently so there is always a reason to return. One of the best restaurants in Ottawa.